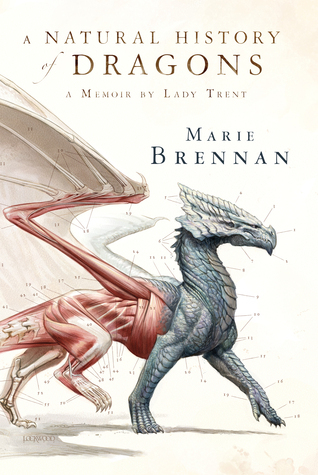 Goodreads Summary: Marie Brennan begins a thrilling new fantasy series in A Natural History of Dragons, combining adventure with the inquisitive spirit of the Victorian Age. I love the Victorian era and I love dragons. Put those two together and you get A Natural History of Dragons by Marie Brennan. 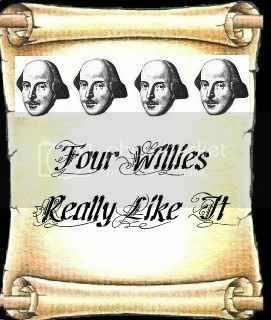 Brennan brings us the story of Lady Trent, though she's not Lady Trent just yet, and tells it in the form of a memoir. I know that thought sometimes will turn people away, but please don't. You'll miss a great book. Because even though it's written in Memoir form it's really exciting. Lady Trent has been fascinated by dragons since she was a little girl. She had an affinity for science, but it was frowned upon in her day. Ladies were encouraged to be curious not knowledgeable. Which is frustrating to her and me. Lady Trent journals her struggles and curiosity and finally the greatest adventure of her life. She joins her husband on an expedition to research dragons. But it's not a simple trip. There is danger, mystery, and intrigue. I enjoyed this book cover to cover. Brennan includes illustrations of dragons that go along with their findings. Lady Trent is an endearing character. You can easily sympathize with all her character has to go through. Although sometimes her curiosity was her downfall, it's also her saving grace. After I read the last page, I immediately wanted to read more. Lucky for me the next book The Tropic of Serpents is out now!